One of the least desirable elements of the App Store are when apps ask users to provide a review. If you're in the middle of playing a game or performing a task, the last thing you want to see is a notification asking if you want to review the app. It can also be the case that an app may be overzealous in requesting a review, souring the user's opinion in the process. There also the issue of lending the iOS device to someone for them to try out an app, as they may be asked to leave a review on your behalf and have completely different views on what the app is like. 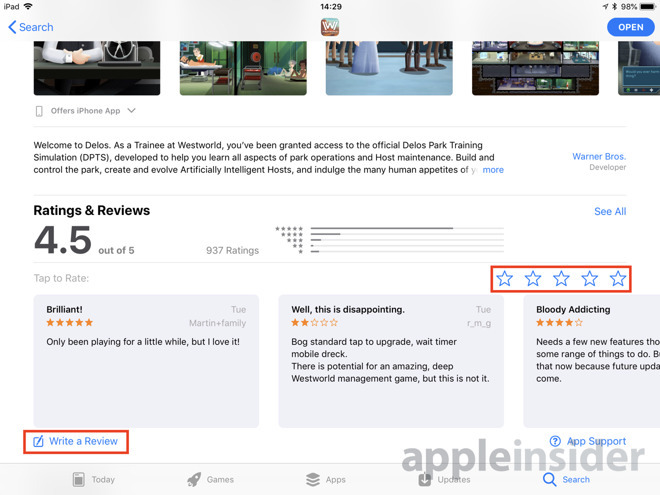 Disabling the in-app review prompt has few down sides compared to its benefits, and Apple has included a simple option in iOS to put a stop to the practice. Open the Settings app on your iPhone or iPad. In the left-hand column, scroll down and select the iTunes & Apple Store tab, located between the Privacy tab and Wallet & Apple Pay. In the right-hand section, look to the lower half of the panel to find In-App Ratings & Reviews. If the toggle for this option is enabled, tap it to turn it off, if you want to prevent the pop-up from appearing. To re-enable apps requesting reviews, simply navigate to this toggle again and tap it to show the green "on" indicator. This toggle will work for the majority of apps that abide by Apple's suggestion to use a specific API. The developer guidelines advises this standardized prompt can be used up to three times in a 365-day period, with reviews and ratings performed without leaving the app at all. Sadly, not all apps abide by Apple's request, and will use other prompts to nag the user for a review. As these requests can be made independently of Apple's supplied mechanism, the toggle will not work for these apps. 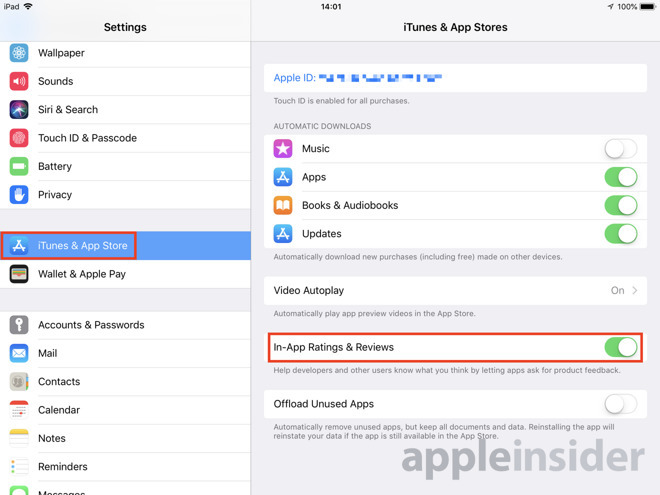 Apple's App Store review guidelines do advise that developers should use the provided API for prompting review, and that it will "disallow custom review prompts" from being used. 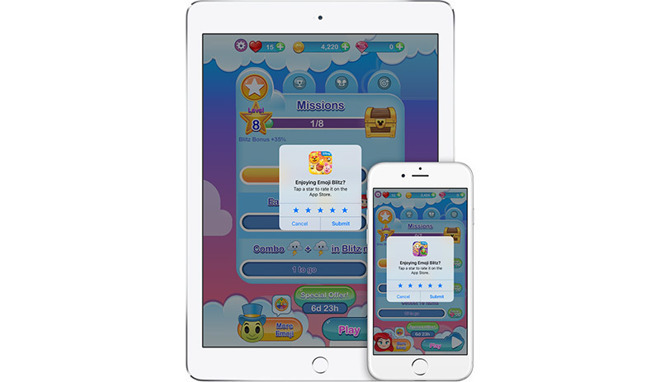 Though this policy will help combat unruly review requests for future app submissions, it is unlikely to affect older apps that passed through the App Store review process before its addition, so it is possible for older apps to still nag if they haven't been updated to follow the current guidelines. Remember that turning off the in-app prompt does not prevent you from reviewing the app, even if it is disabled. Simply access the app in question's listing in the App Store and scroll down until you reach the Ratings & Reviews section. At that point, you can tap the stars to the right to give simple feedback, or tap Write a Review lower down to provide a more in-depth response that will be viewable in the App Store for everyone to see.